COMING TO A THEATRE NEAR YOU- THIS VALENTINE'S DAY!!!! "Her life was about Rules. His life was about Freedom." I have forwarded your email. The University of Alabama is holding Alabama-Cuba Week from November 17 through November 20. Details of the events are linked on my weblog "Cuba, Alabama". Please do me a favor and forward this email to Sela. 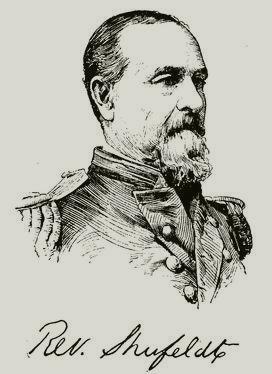 Wilkes reached St. Thomas on October 13, 1861,where he took command of two other cruisers, and then sailed onward, arriving at Cienfuegos, Cuba eleven days later. While in port Wilkes learned of the arrival of the Confederate commissioners in Havana. He then set sail in the hopes of catching the Theodora, but by the time he reached Havana on the last day of October the Theodora had already left. Rather than attempt a near futile chase of the Theodora (which had a two week head start), Wilkes turned his attention towards the two Confederates. Thanks for featuring the Denbigh on the blog. Very nice, indeed. Got the map and the bird’s eye Xerox yesterday. Thank you, it looks like I’ll be able to scan and stitch the map’s pieces together, at least for the part of Havana of most interest. Where can I get an original of the bird’s eye? I’d like to use that one, too. Thank you for being such a big help. Please consider yourself officially appointed to the Institute of Nautical Archaeology’s Denbigh research team. at Bird Key, a sand shoal just off the Bolivar Peninsula. motion of the engine to the paddlewheel. Director of the Galveston County Historical Museum. for the education and enrichment of all. GALVESTON - The Denbigh, a Civil War ship excavated by Texas A&M University's Institute of Nautical Archaeology and one of the most successful blockade runners of its time, will be the subject of the Galveston County Historical Museum's newest exhibit, beginning Saturday (Oct. 25). The exhibit, part of the museum's "ArtWalk," which is scheduled from 6 p.m.- 9 p.m., will highlight artifacts related to the Denbigh, a British merchant ship and blockade-runner that made six successful runs into Galveston before running aground May 23, 1865 at Bird Key, a sand shoal just off the Bolivar Peninsula. 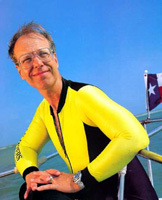 The wreck was discovered in 1997 and is now a protected archeological site under the stewardship of the Texas Historical Commission (THC). The exhibit, done in conjunction with the Institute of Nautical Archeology, will feature artifacts recovered from the site, including the connecting rod that transferred the motion of the engine to the paddlewheel. Topics discussed in the exhibit will include blockade running, the history of Galveston and the United States in 1865, the engineering of the Denbigh, her loss and eventual site discovery and underwater archeology. The Denbigh exhibit will run through April 11, 2004. "This is an exciting exhibit for the museum as it relates to Galveston's involvement in the Civil War," states Christy Carl, Director of the Galveston County Historical Museum. The Galveston County Historical Museum is located at 2219 Market Street in Galveston and is a joint project of Galveston County Commissioners Court and Galveston Historical Foundation. Galveston Historical Foundation preserves and revitalizes the architectural, cultural and maritime heritage of Galveston Island for the education and enrichment of all. For more information about the Denbigh exhibit at the Galveston County Historical Museum, call Christy Carl at (409) 766-2340 or christy.carl@galvestonhistory.org. Professor Thompson has taught at Yale since 1961, and has served as visiting curator at UCLA's Museum of Ethnic Arts (1970), at the National Gallery of Art (1974). He has organized several major exhibitions, including The Four Moments of the Sun (1981) and The Face of the Gods: Shrines and Altars of the Black Atlantic World (1985) at the National Gallery of Art. Prof Thompson has received research grants from the Ford Foundation (1962-1964), the Yale Concilium on International and Area Studies (1965), the National Institute of Medicine and Science (1975), the National Institute of the Museums of Zaire (1976), and the National Gallery of Art (1977, 1979, 1980). He has served on the Joint Committee on African Studies of the Social Science Research Council and American Council of Learned Societies (1966-1973), as Chairman on the Humanities Committee of the African Studies Association (1966-1970), and in numerous capacities at Yale. In November 17-20, 2003, the University will sponsor an Alabama Cuba Conference on the University of Alabama campus, Tuscaloosa, Alabama. Go to Robert Farris Thompson for a brief biographical sketch of our main speaker, scheduled for the noon hour, Wednesday, November 19th, Birmingham Room, Bryant Conference Center, The University of Alabama campus. Thompson will give a presentation on Cuban mambo in the world, with slides, music, and video. Cuban science fiction writers Angel Arango and Michel Encinosa will be at the University of Alabama in Tuscaloosa for the university's Alabama-Cuba Week conference, Nov. 17-20, 2003, and everyone's invited. All four guests also will speak to the members of the Tuscaloosa Science Fiction Society at the society's monthly meeting, 7 p.m. Wednesday, Nov. 19. The meeting is open to the public. Also in the works are a public reading and a party in the science fiction visitors' honor at the home of Andy and Sydney Duncan, details TBA. Dozens of Cuban artists, scientists and scholars, as well as a number of their U.S. collaborators and counterparts, have been invited to the Alabama-Cuba Week conference. Three days of panels will be devoted to all things Cuban, from poetry and photography to wastewater treatment and baseball. The conference officially begins with an evening reception Monday, Nov. 17, at the university President's Mansion, and concludes with a dinner Thursday, Nov. 20. The registration fee for the whole conference is only $25, though meals are extra. Details and registration forms should be online in the next couple of weeks. In the meantime, questions and suggestions regarding the science fiction events may be directed to Andy Duncan (aduncan@sa.ua.edu, 205-348-9298); questions about the overall conference may be directed to Carmen Taylor, associate dean of UA's College of Arts and Sciences (ctaylor@sa.ua.edu, 205-348-7007). Angel Arango was arguably the first Cuban science fiction writer, publishing his first stories soon after the 1959 Castro revolution, and he remains perhaps the most widely published and widely respected. His story collections include Where Do the Caphalhoms Go? (1964), The Black Planet (1966), Robotomachy (1967), The Monkey's Rainbow (1980), Transparency (1982) and Juncture (1984). Michel Encinosa leads a weekly Havana writer's workshop that is a spiritual center of the "new wave" of Cuban science fiction. He is the author of two best-selling story collections, Black Sun and Neon Children (both 2001). "I write for those interested in a change of point of view," he says, and he describes science fiction as "a controlled way to think and to dream about the past and the future and to throw light on the present." Juan Carlos Toledano is assistant professor of Hispanic studies at Lewis & Clark College in Oregon. He reports on science fiction in Cuba and Spain for Locus magazine and is active in the International Association for the Fantastic in the Arts. James Stevens-Arce won Europe's UPC Award for his novel Soulsaver (2000), and his stories have appeared in Asimov's, Amazing Stories and the New Legends anthology. A Miami native, he has lived for more than 40 years in Puerto Rico, where he is a free-lance writer, producer and director for film and television. Andy Duncan (moderator) has won the Theodore Sturgeon Memorial Award and two World Fantasy Awards, including one for his collection Beluthahatchie and Other Stories (2000). Recent stories are in Conjunctions:39 (2002) and Mojo: Conjure Stories (2003). He teaches at the University of Alabama, where he is assistant director of student media. NOTE: U.S.-Cuban politics and the issuance of visas on both sides being subject to unexpected disruptions, the final conference lineup is subject to change at the last minute. 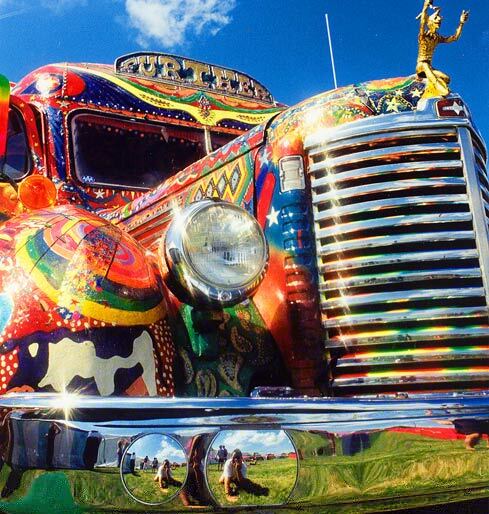 Not only is September 17th Kesey's birthday, it's also Hank's 81st birthday. 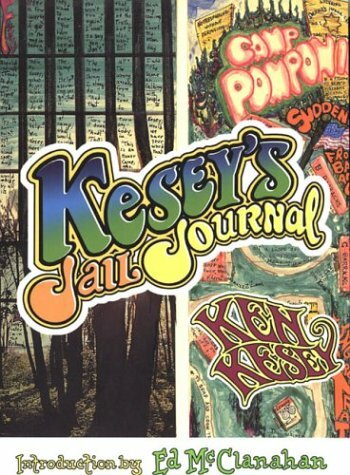 THIS ZANE KESEY'S SITE WHERE YA CAN GET THE NEW KESEY BOOKS ALONG WID ALL KINDS UV UDDER PSYCODELIANA!